Squeaky wheels of progress: The Russian space industry struggled to reform itself at the beginning of the 21 century. As of 2010, the Russian rocket and space industry included from 92 to 112 organizations which employed 232-250 thousand people. (472) The overall outlook for the space sector presented a complex picture. Following a deep slump of the 1990s and a funding boost in the 2000s, Russia was finally expected to get a return on its investments in space. The first spacecraft systems whose development had been initiated in the post-Soviet period were finally reaching the launch pad. Also thanks to government subsidies, the space industry had weathered the economic crisis of 2008 relatively unscathed. During 2006-2010, the increase in manufacturing output across the space industry was reported to be twice as high as in other fields of the Russian economy. However despite improved funding, reality proved that money couldn't buy everything. Typically for the Russian economy, the nation's space sector had continued suffering from an aging work force, "brain drain" and inefficiency as it was entering the second decade of the 21st century. In September 2009, Gennady Raikunov, Director General of TsNIIMash, Russia’s chief space technology certification center, said that the system of quality control in the rocket and space industry had decayed and had to be drastically reformed, the Interfax news agency reported. "Organizational and methodical management of quality and reliability control divisions within the rocket and space industries have been broken and these divisions themselves have declined," Raikunov said at the round table on the problems of the space industry in the Russian Duma (parliament). Liana: A new-generation electronic intelligence satellite had to be removed from the launch pad due to serious technical problems onboard, just days before a scheduled launch in July 2009. Its eventual launch in November 2009 was successful, despite initial problems in orbit with the deployment of sensor-carrying panels. Meteor-M No. 1: The weather satellite reached orbit successfully on Sept. 17, 2009, however a key instrument, scanning the Earth surface in the infra-red wavelength, was unable to function properly due to the failure of the cooling system needed to maintain its temperature below 100K. The problem also affected the launch schedule of the Elektro-L spacecraft, which used a similar device for meteorological observations. Sterkh 1 and 2: The two small new-generation satellites for search and rescue navigation were promised to function for five years. However they were built far behind schedule, due to production test failures of their onboard equipment. The first satellite was launched on July 21, 2009, and, reportedly, experienced problems soon after launch. Due to the wrong polarity in the flight control system, the satellite was turning its solar panels away from the Sun. On Sept. 17, 2009, Sterkh-2 was launched and it also ran into trouble. Failure of the satellite's gravitational boom to deploy prevented proper attitude control, likely rendering it useless. Meridian-1: A new-generation satellite for military communications which was launched on Dec. 24, 2006, it failed before the end of its projected life span, the head of its manufacturer ISS Reshetnev told Russian media at the beginning of 2009. He blamed a collision with space junk for the premature demise of the spacecraft, a reason often used in the industry when a technical failure could not be pinpointed. Persona: A new-generation reconnaissance satellite, with a projected life span of seven years, had apparently experienced a major malfunction shortly after entering orbit on July 26, 2008, official Russian sources said at the beginning of 2009. The investigation commission reportedly blamed low-quality avionics onboard the spacecraft, which were degraded unexpectedly by space radiation. According to unofficial reports, following the failure, ground control was able to communicate with the spacecraft and receive its imagery, however the satellite apparently remained crippled. KazSat-1: The Russian-built satellite for the government of Kazakhstan was launched on June 18, 2006, with a projected life span of 12 years. It experienced problems first on April 17, 2008, and completely stopped communicating with the ground on November 26 of the same year. Mozhaets-5: An experimental satellite launched on Oct. 27, 2005, it failed to separate from the upper stage of the Kosmos-3 launch vehicle. Monitor-E: An experimental Earth-watching satellite built by GKNPTs Khrunichev it was crippled in orbit by an onboard failure shortly after its launch on Aug. 26, 2005. Tatyana-1 launched in 2005 and was lost in 2007, before the end of its guaranteed life span. A collision with space junk was again declared to be the culprit. Tatyana-2, launched at the end of 2009, failed at the beginning of 2010. Ugatusat: failed shortly after its launch. Belka was lost in failure of the Dnepr rocket. Sich-1M was left in a wrong orbit by a failure of the Tsyklon-3 rocket. Meridian-2 failed after reaching orbit. 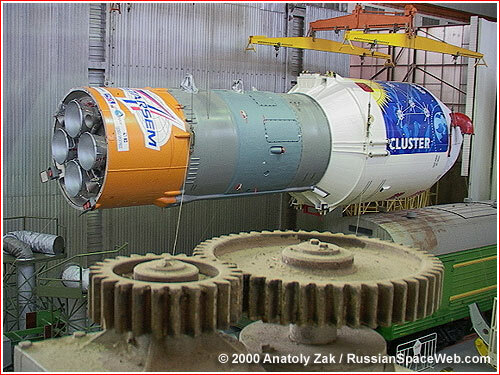 The problem traced its roots back to the Soviet period, when the same government body overseeing rocket industry -- Ministry of General Machine Building, MOM -- played two roles simultaneously: ordering and developing spacecraft. Although the Russian spacecraft were often modeled after their Western equivalents, industrial enterprises rarely faced "life-and-death" pressure of competition inside the country, let alone from foreign developers. As a result, the quality of Russian avionics and other crucial components onboard application and science spacecraft had never been particularly high. This system remained largely unchanged following the switch to the "market" economy and the formation of the Russian space agency, Roskosmos. End users, such as Rosgidromet or science centers, still have little say in what exactly each spacecraft should deliver and how it should operate. 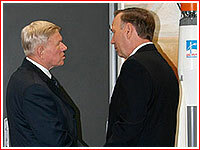 Moreover, top space officials often move back and forth between Roskosmos and the industry in the course of their careers and maintain cozy relations with their peers at the agency, which certifies spacecraft for flight and single-handedly declares civilian space systems fit for operational service. As of 2011, Rosgidromet was still struggling to obtain a more important role in the development of civilian remote-sensing satellites. Even then, the Russian government was not prepared to give the end user a primary role in defining technical requirements for future spacecraft. Rosgidromet could only hope to participate in the formation of the technical assignments for the developers of instruments onboard satellites and their following operation in orbit. At least some of the quality control problems in Russian space technology stemmed from the disintegration of the decades-old contractor relationships between the main system integrators and their suppliers. This network was formed during the Soviet period and had to be re-established after the disintegration of the USSR. Many contractors were left struggling in Ukraine and in other newly independent republics, while others collapsed altogether due to lack of orders during the 1990s. Newly formed sub-contractors often had little experience in spacecraft development and made costly mistakes, delaying projects. Even worse, some organizations turned out to be frauds. After being one of the most prestigious sectors of the Soviet economy, the space industry lost much of its luster for the young work force entering the job market during the 1990s. As a result, space companies struggled to maintain the high professional qualification of their workers and engineers. One of the critical factors which led to the loss of the qualified personnel was low wages within the industry. Although the times when workers were going without pay for months had been overcome, rocket companies still lagged behind other sectors of the Russian economy in pay rates. According to the report by the Tsiolkovsky Academy of Astronautics, the average monthly pay within the space industry was 6,108 rubles per month. For comparison, gas producers would pay their employees on average 13,500 rubles per month, while the oil industry would compensate its workers with 24,800 rubles. The situation started improving slowly in the first decade of the 21st century. In 2008, the average salary at TsSKB Progress was reported to be 13,000 rubles. A medium-level technician at NPO Lavochkin would earn 9,000-12,000 rubles per month. A high-level engineer with experience would be reportedly offered 16,000 - 20,000 rubles. During a work assignment in Baikonur, a worker would reportedly earn $55 a day, while their French counterpart earned 800 Euro! The Russian space industry made at least some attempts to attract former employees lost in the previous decade. In 2009, a poster on the online forum of the Novosti Kosmonavtiki magazine quoted job postings at the Proton-PM propulsion development company in the city of Perm, offering re-training and retaining of an uninterrupted work experience -- an important incentive for former workers. The lowest machinist salaries were hovering around 25,000 rubles per month. In addition, Roskosmos oversaw a fully state-owned NITs RKP test center. During the 2000s, the larger and financially healthier companies were in the process of absorbing their former subcontractors, which no longer had enough business to survive on their own. With the approval of a presidential decree on Feb. 3, 2007, GKNPTs Khrunichev absorbed the Voronezh mechanical plant, the Isaev chemical machine building design bureau, the Dlina Moscow enterprise for hardware assembly and PO Polyot. In July 2008, Khrunichev also acquired a majority stake in the Proton-PM propulsion developer in the city of Perm. In August 2009, Russian president Dmitry Medvedev signed a decree giving Khrunichev the complete ownership of the KB Khimmash design bureau in Voronezh. Among especially controversial mergers was RKK Energia's takeover of NPO Energomash, Russia's leading developer of rocket engines. Leaders at NPO Energomash reportedly resisted the move, since it could hamper the company's competitiveness in bids with NPO Energia's rivals in the industry. Potentially, NPO Energomash could lose its ability to innovate, said critics of the merger. RKK Energia was taking over NPO Energomash in parallel with its effort to acquire majority stake in the bankrupt Sea Launch venture. RKK Energia reportedly took over Sea Launch for a penny on the dollar. By taking over Energomash, RKK Energia could also control the price of engines, the key components of the Zenit rocket used by the Sea Launch venture. To complete a quick takeover of Energomash, RKK Energia reportedly enlisted help of Aleksandr Beglov, deputy chief of presidential administration in Kremlin, who held the chairman seat on the board of directors at RKK Energia. This was a controversial position in itself, reflected in the presidential ban, which prohibited high government officials from joining boards of directors of state-own corporations. In October 2011, Beglov was replaced on the board of directors at RKK Energia with Mikhail Kovalchuk, the director of Kurchatov Institute, NITsKI.